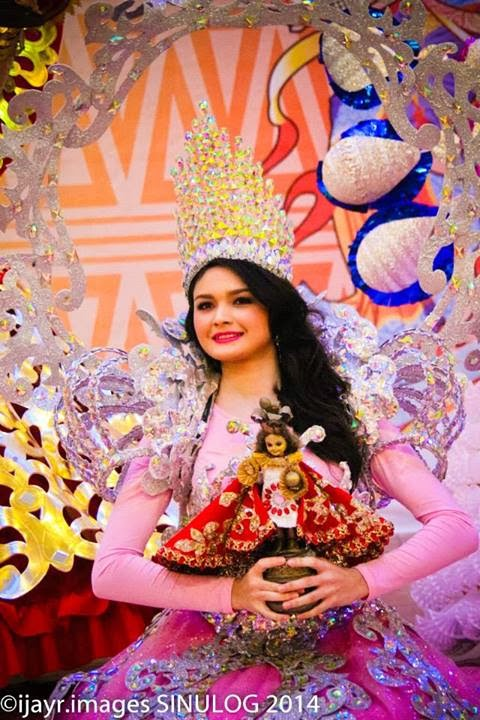 A lady from Placer, Masbate was crowned first runner-up during the Sinulog Festival Queen Competition in Cebu City last night. Pauline Amelinckx was part of the Tribu Himag-ulaw contingent. Amelinckx also won the Miss Phoenix Petroleum, Miss Sun Cellular, Miss Sinulog Allphones, and Best in Group Performance awards. 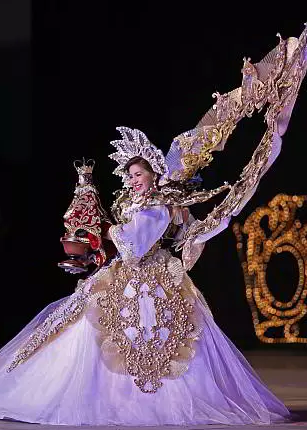 During the competition, she, along with the other participants had to perform a ritual dance with an image of the Santo Niño. 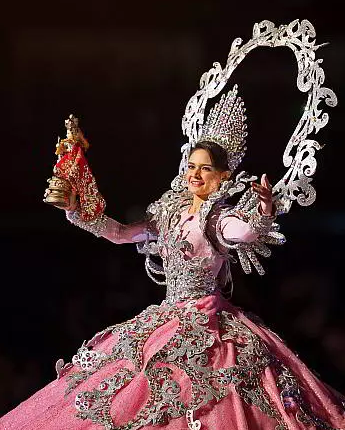 Clad in a sparkly pink and silver costume, she wowed the crowd of Cebuanos and tourists in the Cebu City Sports Complex, where the contest took place. The other winners were Christine Jael Abellanosa who was chosen as the Sinulog Festival Queen 2014, Jaya Lozano; 2nd runner-up; Luvina Joy Bullanday; 3rd runner-up; and Maria Janica Zuno, Miss Photogenic. Meanwhile, Masbate's entries to the street dancing competition also garnered awards. Kulturang Placereno, of Placer, Masbate was named champion for the Sinulog-Based Category. Tribu Himag-ulaw of the same town won as the first runner up in the Free Interpretation Category.